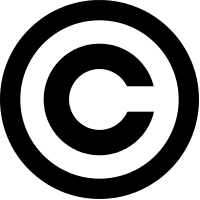 Copyright | I'm No Superman! If you quote any content from I’m No Superman! or Like It Is, please link back to me. If you wish to use any content from this blog, please contact me first. Copyright infringement will be pursued. I encourage you to post comments on my Blog. I do not expect everyone to agree with my viewpoint(s). However I will reject any comments that are, or contain, libelous, abusive, racist or offensive language. I will not knowingly allow comments to be posted or remain posted which contain proprietary or confidential information, spam, off-topic, offensive, uncivil or otherwise inappropriate posts. Stay on topic and don’t make personal attacks on other posters – or the blog owner. All comments posted on I’m No Superman! are the views of their author and my allowing of them does not imply that I agree with their contents.